This iPhone case has an LED equalizer on the back. 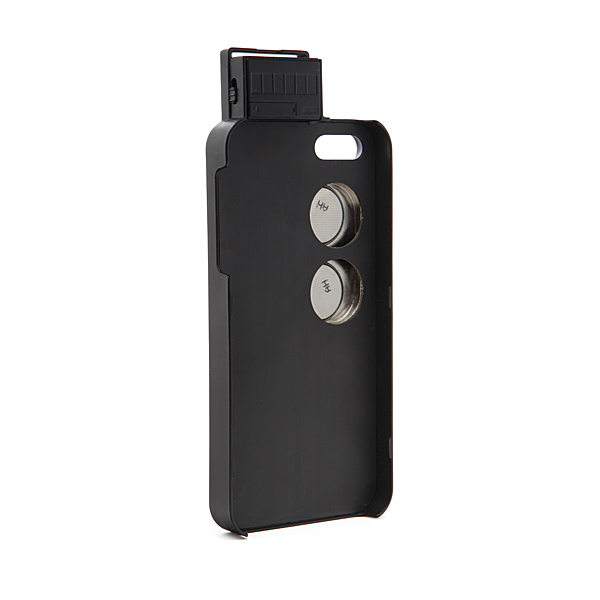 The case is powered by it’s own battery and reacts to sounds around it via a microphone. Pretty cool, although the part on the top seems to make it unnecessarily bulky. ThinkGeek notes, the lights aren’t technically an actual graphic equalizer , but it’s cool nevertheless. Okay, so the max amount on each of the bars is preset, and the lights don’t react to specific frequencies, but nobody but you needs to know that. A random passerby would have to watch it for a bit to figure that out. The Equalizer Case is available from ThinkGeek for $14.99.